In issue four, Debbie Hillyerd, Director of Education at Hauser & Wirth Somerset, introduces us to the Bruton art centre’s youth group, Arthaus. The group recently worked on a project with artist duo John Wood and Paul Harrison to produce the short film, This Rectangle (2018). “I first joined Arthaus looking for some inspiration and a direction for my creativity. However, since being involved, I’ve realised it’s given me so much more than that. Since being part of the group at Hauser & Wirth, I have gained so much knowledge and confidence – in myself and in the way I work as an artist. Arthaus has given me once-in-a-lifetime opportunities: interviewing artists and visiting private studios, and it has even introduced me to filmmaking, working alongside John Wood and Paul Harrison, helping them create This Rectangle (2018). I am also extremely proud to be able to add my involvement with Arthaus to my CV – it is great experience to have and I am so pleased that we have Hauser & Wirth Somerset right on our doorstep. Working with John and Paul has been my favourite Arthaus project so far. We planned, took test shots and filmed the entirety of the film in just a handful of evenings. Seeing the film on show at Hauser & Wirth, and receiving a copy to add to my portfolio, was just amazing and working with these artists really opened my eyes, not only to filmmaking but to a whole world of experiences within the world of art. You can read the full feature in issue four of SOME SUCH magazine. This Rectangle (2018) appears here courtesy of John Wood and Paul Harrison with Arthaus. After 29 years, the Bath Decorative Antiques Fair is still the leading regional event to beat, where rustic to refined ultra-relevant, stylish English country house style; mid-century design; industrial chic; Swedish period painted furniture; period portraits and perennially fashionable crusty iron garden furniture will rub shoulders with decorative staples of the 80s and 90s now back in demand by a new and younger audience. Waiting to be discovered: French marble top chocolatiers’ tables, elaborate brass and steel bakers’ racks, buffets and armoires in fruitwood, huge pine refectory tables and Windsor chairs, rows of yellow confit pots, pub signs, marine and advertising ephemera, homely Staffordshire dogs, samplers and quilts, and yes, large scale oak, mahogany and walnut brown furniture re-imagined by a new generation of decorators and collectors. The event has remained at the same wonky Bath Pavilion since the launch back in 1989 and quickly fills up with eager exhibitors each year, keen to secure a place at what is reliably expected to be a busy event teeming with buyers from the UK, EU and USA who are happy to queue up for hours in all weathers before the doors open at midday. 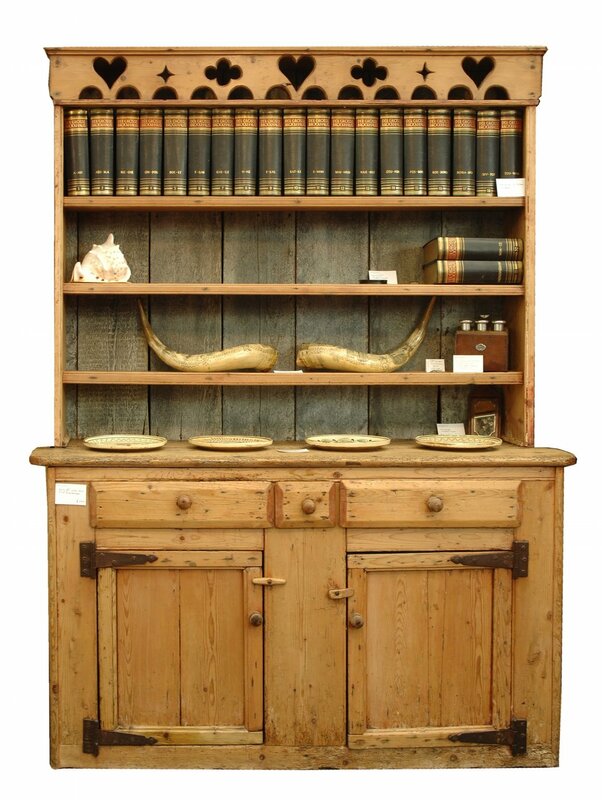 New for 2018 will be King George Antiques, Kent, who specialise in library furniture and country house pieces, joining the other exhibitors, the majority of whom return year on year. These include: Erna Hiscock and John Shepherd, Kent; Cherrie and Michael Todd, Somerset; Terry and Marie Kelly, Somerset; and Appledore Antiques, Devon all of whom specialise in naïve country furniture, Folk Art, samplers and early pottery. From farther afield come The Archives from Belgium with decorative furniture and unusual accessories and glass, Bohm’s Antiek from Sweden with painted Swedish provincial furniture and Mark Blower Antiques, from the Channel Islands, with period portraits, colonial antique furniture and accessories. Not Wanted on Voyage, Oxford, return with a large selection of mid-century design, art and upholstery and Mary Hossack of Life England, Somerset, will have an artful mix of mid-century design and decorative antiques with an emphasis on upholstered antique chairs and sofas for which the company is known. The fair takes place at the very beginning of spring and visitors will be delighted to see Linda North, Hertfordshire, whose stand will be heavily laden, bursting with urns, jardinières, wirework garden furniture, statuary and other objects. Linda Townshend Bateson, Tetbury, will also show a wide range of antiques for the garden. Returning after a successful debut in 2017 will be Joe Chaffer of Vagabond Antiques, Petworth, who deals in an expertly curated mix of old world country house pieces with decorative antiques for the garden. Large scale shop counters, dressers and antiques for the garden will be showcased by Kent dealers Elham Antiques. A northern contingent will be descending on Bath this year with Molly & Maud’s Place, York, with decorative country furniture, garden and architectural pieces; DJ Green Antiques, Sheffield, with French and English decorative antiques for the home and garden; and Chris Holmes Decorative Antiques, Harrogate, bringing rustic and decorative antiques for the home and garden, showing with Chloe Holt who will bring her original contemporary oils in antique frames. Other art dealers at the fair include Granta Fine Art, with 20th century modern and contemporary art; and Larkhall Fine Art with 19th and 20th century master prints by artists from around the world. Nordic contemporary design will be well represented by Swedish by Design, Dorset, and nordic period painted furniture from The Swedish Room, Hungerford. 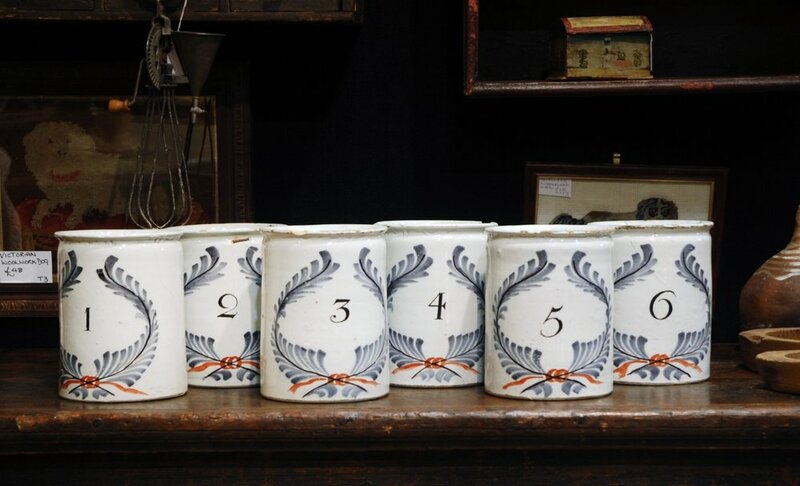 La Place Antiques, Arundel, West Sussex, will show English and continental painted furniture, lighting and antiques. Tetbury based Jacqueline Hall will return with a mix of French and English decorative furniture. Wharton Antiques, Somerset, will bring a mixture of architectural elements, fire surrounds, decorative accessories and decorative accessories for home and garden. Emily’s House, Tetbury, deals in Berber, Turkish nomads and handmade Kilims, and vintage Beni Ouarain and Moroccan rugs, and will show how to use these period rugs and textiles in the modern interior. 9-11 March 2018. TRADE ONLY 8 March. The Pavilion, North Parade Road, Bath BA2 4EU. TRADE PREVIEW Thursday 8 March: 12noon-5pm. Admission with Trade Invite or Trade Business Card. Otherwise £10.00.